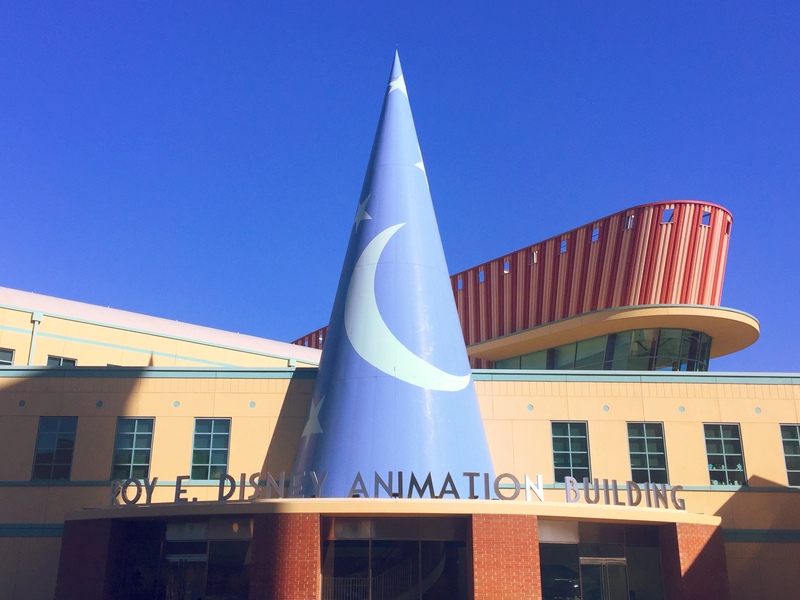 A Trip to Walt Disney Animation Studios to see “Olaf’s Frozen Adventure”! Hi, everyone! I’m Melanie Gable and I’m guest writing for The Healthy Mouse to tell you about my amazing visit to Walt Disney Animation Studios to attend a special advance screening of “Olaf’s Frozen Adventure,” a holiday-themed featurette starring lovable snowman Olaf and his friends Elsa, Anna, and Kristoff. Jessica was unable to go to the event, and I was the lucky friend she asked to attend in her place! I’m a Disney superfan, and even dreamed of becoming a Disney Animator when I was a kid, so of course I jumped at the chance to visit the studios and check out Walt Disney Animation’s latest offering. “Olaf’s Frozen Adventure,” which will open with Disney•Pixar’s original film “Coco” on November 22, is a heartfelt and hilarious seasonal adventure starring Josh Gad as the funny, endearing snowman who goes on a mission to round up the best holiday traditions he can find when royal sisters Anna and Elsa realize they have none of their own. Original “Frozen” voice actors Gad, Kristen Bell (Anna), Idina Menzel (Elsa), and Jonathan Groff (Kristoff) return to breathe life into their characters and sing entertaining and beautiful songs that propel the story forward and add to the fun. Deftly directed by Emmy-winning filmmakers Kevin Deters and Stevie Wermers-Skelton (“Prep and Landing”), “Olaf’s Frozen Adventure” made me laugh out loud and, a bit embarrassingly, shed a few tears. (Though I often cry the first time I see a Disney or Pixar animated movie, I wasn’t expecting to do so at a 21-minute featurette about Olaf! Why do you do this to me, Disney???) Deters and Wermers-Skelton certainly know how to helm a fantastic holiday special (“Prep and Landing” is a favorite in our home), and this one is no exception. Elyssa Samsel and Kate Anderson wrote four brand new songs for the film and I absolutely loved them. Samsel and Anderson maintained a similar balance of sweet sentiment and modern humor in their songs to those in “Frozen,” but the music also had a freshness and holiday flair that was unique and perfect for this film. I adored the harmonies written for Anna and Elsa, and Bell’s and Menzel’s voices sounded as gorgeous as ever. Kristoff even got in on the act with a silly solo about his troll family’s holiday traditions. OLAF’S FROZEN ADVENTURE – Songwriters Elyssa Samsel & Kate Anderson perform for pess and their guests at the press day for “Olaf’s Frozen Adventure” at the newly remodeled Walt Disney Studios Animation building on Tuesday, October 24, 2017 in Burbank, CA. Photo by Marc Flores. ©2017 Disney. All Rights Reserved. But the real standout of the film is, of course, Olaf, and his antics never fail to make the audience laugh out loud. Olaf has graduated from sidekick to leading man, and the wonderful script provides Gad with plenty of opportunities to showcase his impressive comedic talents, but he also tugs at our heartstrings when he loses hope in his ability to help Anna and Elsa have a beautiful Christmas. It doesn’t end there, and I won’t spoil it for you, but thankfully Olaf’s good humor and exuberance are restored by the end of the film and the audience is treated to some lovely holiday magic. After the Q&A, we were led out of the theater and up the winding lobby stairs to the newly remodeled common area in the WDAS building, where gorgeous concept art from “Olaf’s Frozen Adventure” adorned the walls and the audience mingled with the creative talents behind the film. We were treated to blue-hued hot chocolate, savory catered hors d’oeuvres, and delicious desserts, the most adorable of which were Olaf-shaped rice crispy treats! The film’s songwriters, Elyssa Samsel and Kate Anderson, performed a beautiful live rendition of “When We’re Together,” and Head of Story Brian Kesinger was on hand to give entertaining lessons on how to draw Olaf and Sven. To top it all off, there were fun craft tables provided by Disney Family and an adorable photo op that allowed us to pretend we were riding in a one-reindeer open sleigh with Olaf. As the event came to a close, I made my way out at a leisurely pace, marveling at the vast number of concept art pieces from Walt Disney Animation’s history lining the walls, trying to soak up as much as I could before I had to return to reality. It was a magical evening to accompany a fantastic film, and the whole experience definitely got me into the holiday spirit. OLAF’S FROZEN ADVENTURE – Press and their guests take part in activites at the press day for “Olaf’s Frozen Adventure” at the newly remodeled Walt Disney Studios Animation building on Tuesday, October 24, 2017 in Burbank, CA. Photo by Marc Flores. ©2017 Disney. All Rights Reserved. OLAF’S FROZEN ADVENTURE – Head of Story Brian Kesinger teaches press and their guests how to draw Olaf at the press day for “Olaf’s Frozen Adventure” at the newly remodeled Walt Disney Studios Animation building on Tuesday, October 24, 2017 in Burbank, CA. Photo by Marc Flores. ©2017 Disney. All Rights Reserved. From the stunning animation to the performances to the songs and the original musical score, every element of “Olaf’s Frozen Adventure” is pitch perfect. I’m certain that watching the film every holiday season will become a new tradition for many families, as well as my own! You can see “Olaf’s Frozen Adventure” play in front of “Coco” in theaters starting November 22nd!